The perfect way to introduce a friend to six Harrington's favorites in portions that are perfect for smaller families or busy folks on the go. Includes 1 lb. 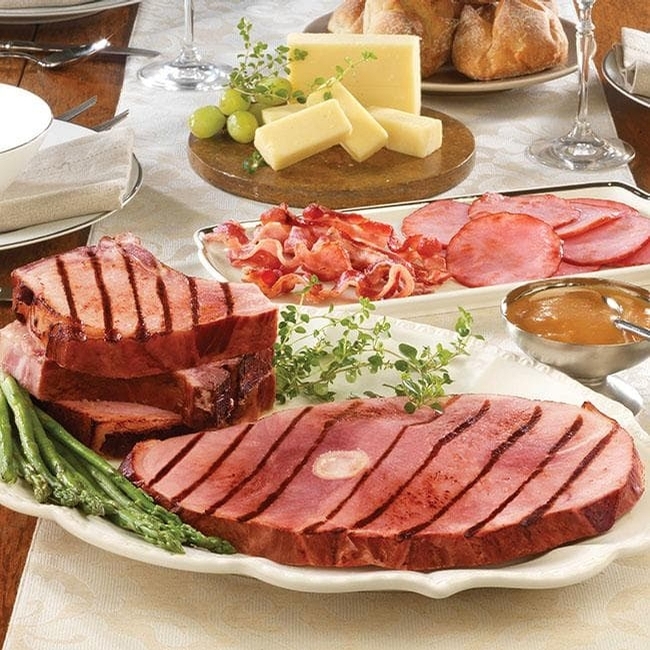 Center Cut Ham Steak, 2 lbs. Windsor Loin Pork Chops, 6 oz. Sliced Corn Cob Smoked Bacon, 6 oz. Smoked Sliced Canadian Bacon, 8 oz. Specially Aged Cheddar, and an 8 oz. jar of our exclusive Honey Mustard.